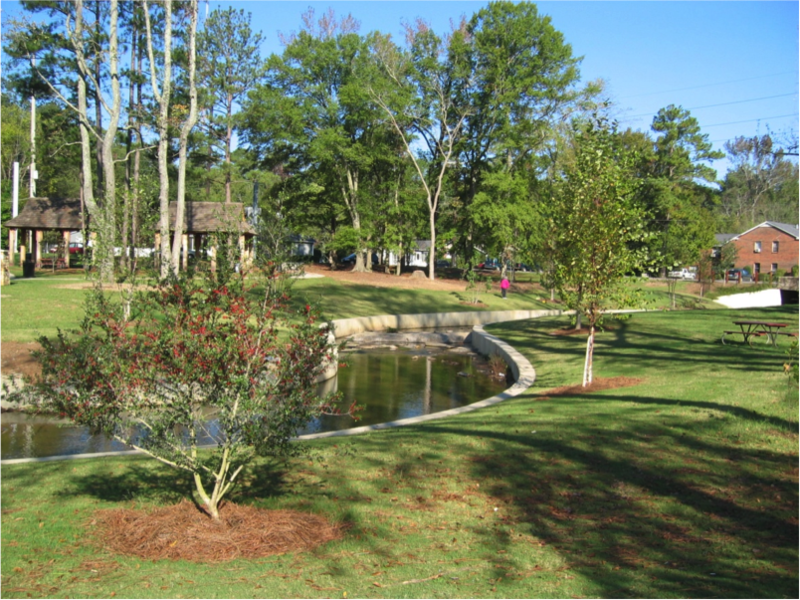 Prior to Restoration, this park was over used and worn down with tree roots compacted and a creek channelized through the center creating unusable spaces that were blighted. The new design relocated the channelized creek in a meandering fashion developing more efficient use of space and water management. 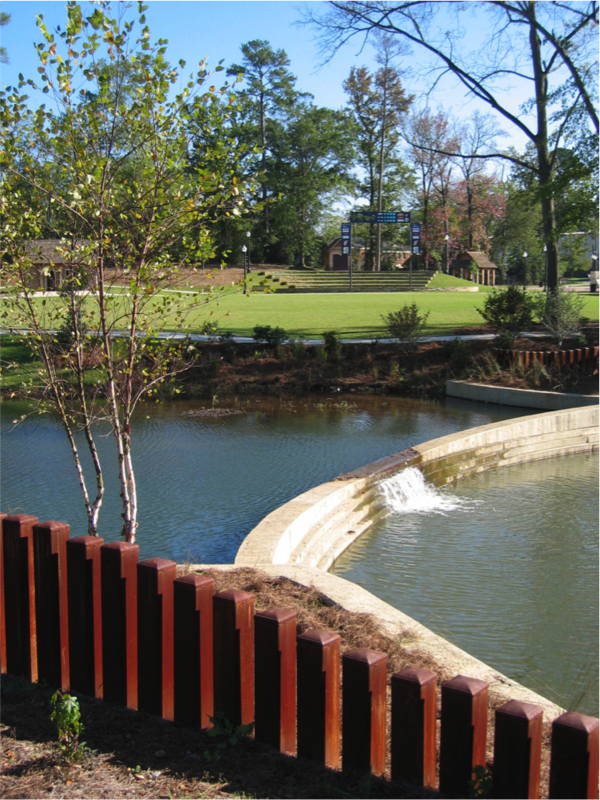 The new park now has a sense of place with gateways at the creek crossing and three corner entrances, an amphitheater, playground, tennis courts, and hard surface for skating, skate boarding and bicycles. 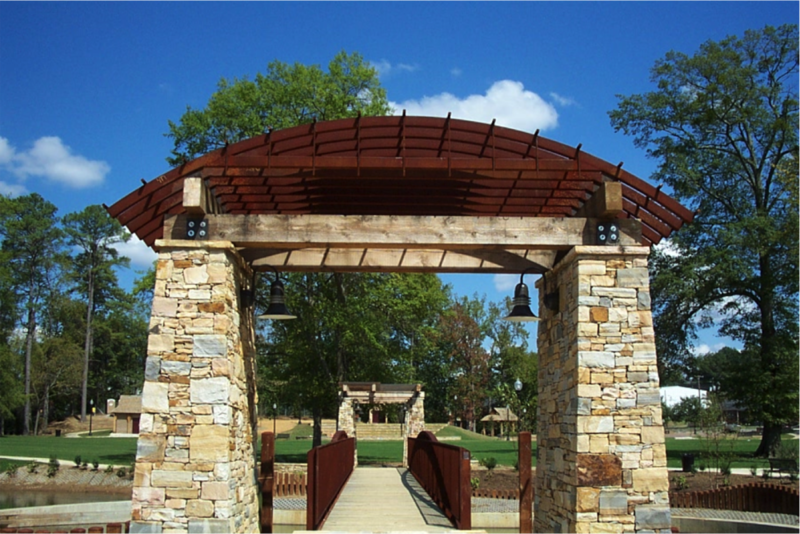 Stacked stone and corten steel are used throughout the park in walls, columns, fencing and the gateway arbor. Before the work people use to refer to the water way as a storm sewer. Now an attractive water way, it is referred to as Griffen Creek.